Except instead of ties at the end, it's just a continuous loop of one width. 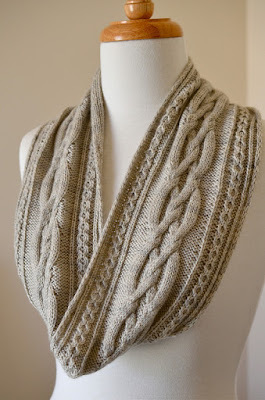 This cowl is so elegant and beautiful, and I was drawn to it immediately. I love the large, braided cable motif in the middle, which is more complex than the rope and spine cables I've done in the past. It'll be a fun challenge! The edges aren't just a slipped stitch, garter edge, or a ribbed edge. The layering of knits and purls and those pretty little chains make for a substantial foundation that compliments the weight of the main motif without fighting against it. Now to take some measurements and figure out how long it'll need to be. The pattern calls for a sport, but I have a ton of worsted cotton that would make this a good match with a plain tank for spring knitting. Or perhaps I'll look in the blue family and try something new... 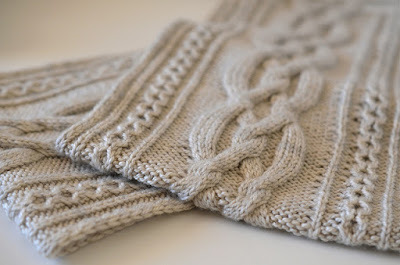 I need a companion piece for the Brownstone I'm working on (WIP post coming soon), so this wrap sweater may be the ticket! 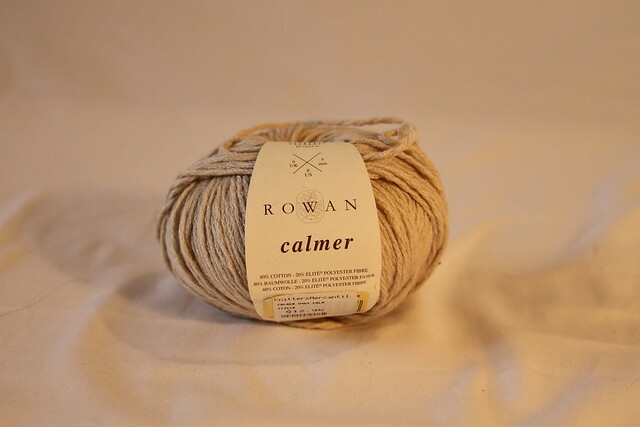 Have you entered my yarn giveaway yet? All you have to do is fave a Plum Street Fibers colorway on etsy and comment to tell me about it! I'll pick a winner on the last day of the month! That's so pretty. Now I must also queue it!